If you’re a Slash fan, not much longer now! 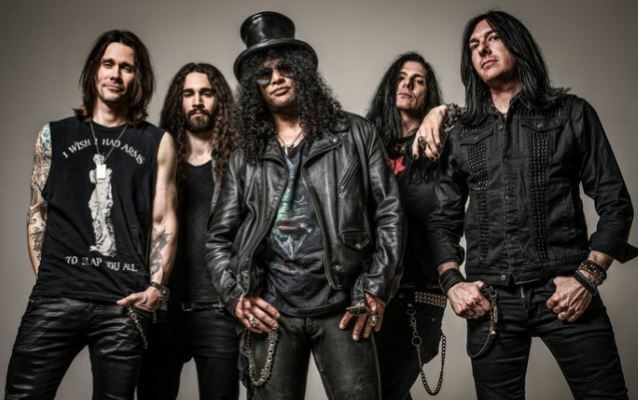 Slash Ft. Myles Kennedy & The Conspirators recently announced the release of their new album “Living The Dream”! Slash will release the album on his own label “Snakepit Records” in a partnership with Roadrunner Records on September 21! This will be Slash’s 4th solo album and will follow up 2014’s “World On Fire”. The line up remains Slash (guitar), Myles Kennedy (vocals), Brent Fitz (drums), Todd Kerns(bass, vocals) and Frank Sidoris (guitar, vocals). They’re putting the finishing touches on the new 12 song album! If you need a reason to go to LA – here you go. September 13th road trip, anyone? !